HE’S TNT ON THE STREETS! IF your name is Taahir Nixon Theletsane, then your nickname has to be TNT. Not only does this Lekoa FM presenter ride for fun – his bike helps him keep his busy schedule of meetings. 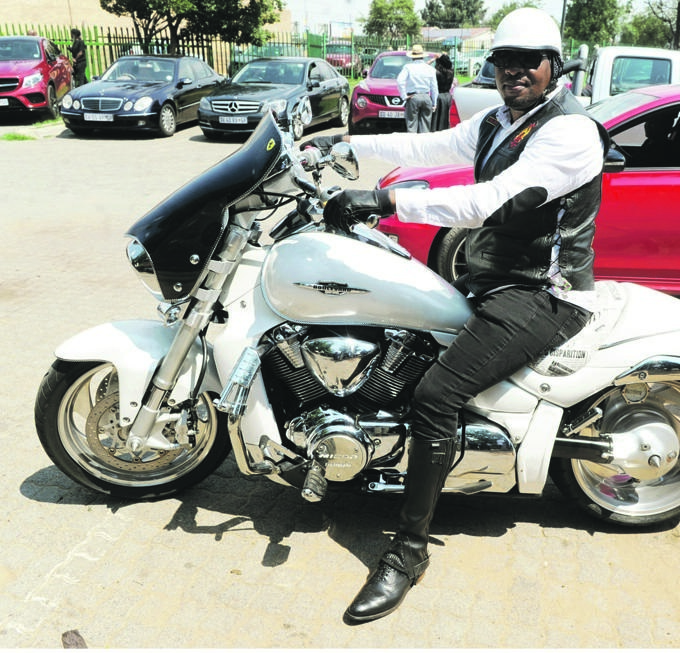 TNT is chairman of the Vaal Ahanang Foundation, an ambassador of Sapa Yopa Motorcycle Club and is part of the ANC Bikers Crew. Q: What bike do you ride? A: It’s a Suzuki Boulevard 1800 M109R. I bought it in 2014. Q: Is it your first bike? Q: Why do you like this bike? A: It is the best and safest cruiser in my opinion. Q: Why did you choose white? A: I like white because it represents purity. Q: Why do you love biking? A: Riding moves my soul. It relieves stress and is convenient in traffic. Biking is a beautiful sport that I share with my buddies. Q: Is this your dream bike? Q: Does it have a nickname? A: I call it Snowy. A: I always ride with my safety gear. While I don’t like overdressing, I always wear my gear when I ride. Q: Who else can ride Snowy? A: My bike is too close to my heart to let anyone else ride it. Q: How far have you ridden? A: I have been to Cape Town and many times to Durban. I’ve also been to Swaziland and Mozambique. A: I am on my bike daily. Q: What thoughts can you share about other Mzansi road users? A: Motorists must please look out for bikers – our vehicles offer us no protection. People hold many negative stereotypes about bikers but we also love our families and friends.